Chris will be bringing you weekly PGA picks, analysis, and breakdowns to help you cash on DraftKings and FanDuel. 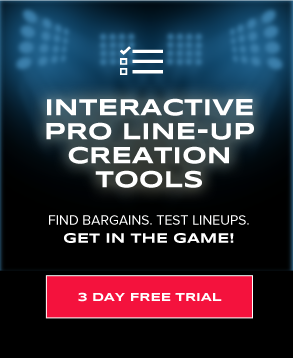 As every week in DFS PGA changes with the course setup, field of players and weather, Chris will be providing a range of different picks for cash games as well as upside plays for tournaments. If you have any questions to lineup lock you can reach him a variety of ways. Leave your question/comment below in the comments section, find him in the DFSR Chat room or hit him up on Twitter(@Jager_Bombs9). Chris is also providing his DFS PGA Weekly cheatsheet where he provides stats, course history, current form, fantasy points, and much more. Grab your copy today and edge out the competition. Anyone else have a Masters hangover? What an amazing event we just witnessed with a jam-packed leaderboard all four days capped off by 15th major Championship win(5th Masters) by Tiger Woods. Miss it? Here is a look at his final round highlights. Enjoy! This week, we go from the Green Jacket to the Plaid Jacket as the PGA Tour heads to Harbour Town Golf Links for the RBC Heritage. While you would think the event following the Masters would suffer, that is not the case this year as four of the Top 10(Dustin Johnson, Francesco Molinari, Bryson DeChambeau, Xander Schauffele) and 24 of the Top golfers in the World are teeing it up this week. There are also almost 40 players in the field who played last week at the Masters. 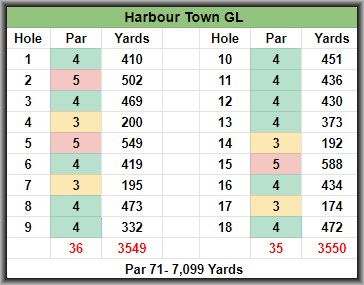 Harbour Town is a Pete Dye-designed Par 71 that is just shy of 7,100 yards in length. If you click the course scorecard below and link to the PGA Tour Course Preview, you will quickly see that the driver will not be the key club this week. The fairways are narrow and tree-lined and like all Pete Dye designs, placement off the tee due to the angles is key. Because of this, we will see a lot of golfers clubbing down and using irons or fairway woods. Accuracy is what I am looking at when breaking down the Off the Tee stats this week. The most important stat to me this week is Strokes Gained: Approach as the greens are very small and tough to hit meaning those players on point for four days will separate themselves from the pack. It also makes sense to look at and weigh Strokes Gained: Around the Green/Scrambling as well with a high percentage of the field missing greens almost half the time. If accuracy is off on the approach, you can still save the day by scrambling and putting well. 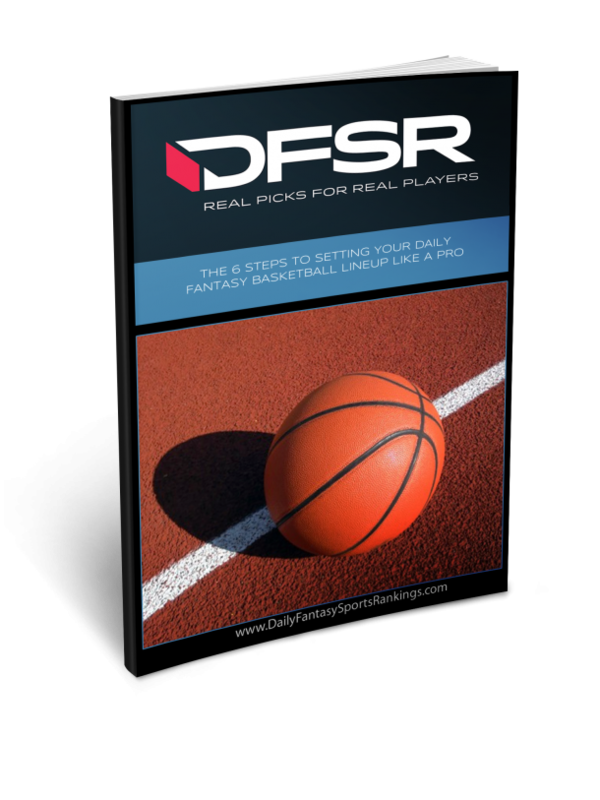 With that, let's jump in and take a look at some course info and trends and then look at my top picks in each price range. When breaking down the top stats I use a combination of my own cheatsheet, the tools over at FantasyNational.com, and the Future of Fantasy Golfanac. Furyk is the only player in the top tier this week that did not play in the Masters so he should be nice and fresh. He won this event back in 2015 and while he missed the cut in 2017 and finished T70 last year, he comes in this time around with way better form. After missing the cut in two of his first three events back in October, Furyk has been money in 2019 making all six of his cuts with five Top 25 finishes and a runner-up at the PLAYERS and TPC Sawgrass, another Pete Dye-designed course. He is #6 in my model on my sheet and looking at my custom model on Fantasy National Golf Club, he is #1 ranking Top 5 in all my key stats over the last 24 rounds. I will have exposure to Furyk in all formats this week. DJ came close at the Masters once again and is the headliner this week at the RBC Heritage. He is one player I am not worried about fatigue with as he seems emotionless like a robot out there churning out birdie after birdie. He also played here last year for the first time after a T10 at the Masters and ended up T16. I think that is more of his floor the second time around and looking at my custom model on FNGC, he ranks 5th in SG: Approach, 2nd in Par 4 Scoring, and 1st in SG: Total on Pete Dye Courses over the last 24 rounds. I won't be going up this high in cash games but DJ will be a core play for me in GPP as he is the most talented golfer in the field by a good margin. After reaching a season-high $9,400 on DraftKings at the Valero Texas Open, Kokrak is back down in the mid-range and is a top PTS/$ value this week. I am not at all worried about his missed cuts here in the last two years as he has Top 20's in the three years before that and comes in with excellent form. He has made all 12 cuts this season including Top 10 finishes in two straight and three of his last four events(Valero Texas Open, Valspar, Arnold Palmer Invitational). He also sits #2 in my custom model on Fantasy National highlighted by his #1 rank in the field in Strokes Gained: Approach over the last 24 rounds. At these prices, he is in play in all formats. So far the theme of this article has been(and not meant to be) players who had the week off during the Masters. Glover is another one of them and the first thing that popped off the page was his price. He has seen it dip over $1,000 on both sites($1,500 on DraftKings) since the Valero Texas Open which seems like a buy-low opportunity considering his combination of form, history, and stats. He is coming off back to back Top 15 finishes at the Valero and Valspar and has and has made 10 of 12 cuts this season with four Top 10's and 10 Top 25 finishes. He now returns to the RBC Heritage where he has finished 32nd or better in four straight years. He is also 11th in my stats model ranking 16th in SG: Approach, 15th in SG: Around the Green(1st in Scrambling), and 4th in Par 4 Scoring. Fire up Glover in all formats. This is Dahmen's first trip to Harbour Town and while he has a small sample size of performance on Pete Dye courses, he did finish T12 at the PLAYERS(TPC Sawgrass) in March. Overall, he has been consistent(for the price) making 12 of 16 cuts with all four cuts missed coming in a row in February and early March. He doesn't exactly stand out in any one area when looking at stats but is Top 30 on my sheet in the key Proximity ranges. He is a GPP only play for me this week. Schenk has gotten off to a much better start this year after making just 50% of his cuts in his rookie season a year ago. Through 17 events, he has made 13 cuts with two Top 10's(one last year) and five Top 25 finishes. He is 38th in my model on my sheet and 19th in my custom model on FNGC highlighted by his approach game where he has gained strokes in nine of his last 11 events. Chris Durell has been playing Daily Fantasy Sports for six years and fantasy in general for more than a decade. He is an active player in college football, NFL, MLB, NASCAR, NHL and of course PGA. He lives in Saskatchewan, Canada with his wife and two daughters. You can follow him on Twitter at @Jager_Bombs9 for advice, strategy, answers to any PGA questions and how he copes with the winters up north.